Last year, shoppers spent a whopping £50 billion on Christmas spending – that’s an average spend of £757 for every person in the UK. It’s important to market your business at this busy time of year in order to keep up with competition and attract customers to your business. The festive season is an ideal time for brands to step up any marketing or promotional activities, as it’s the time of year when people are prepared to spend, and are looking for the right opportunity to do so. 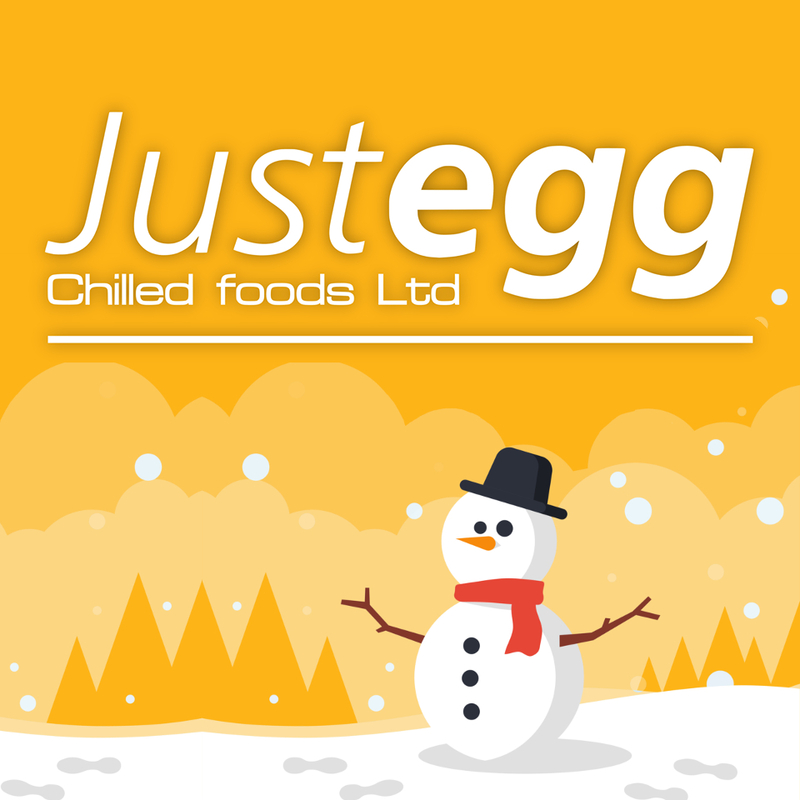 Make your business look the part with a festive re-brand. You can do something simple, like add a santa hat to your logo, or go all out with new, christmas-themed packaging. This creates a more personal experience for your customers and also keeps your brand up-to-date. Need a festive logo or social media graphics? We offer a range of branding and design services. 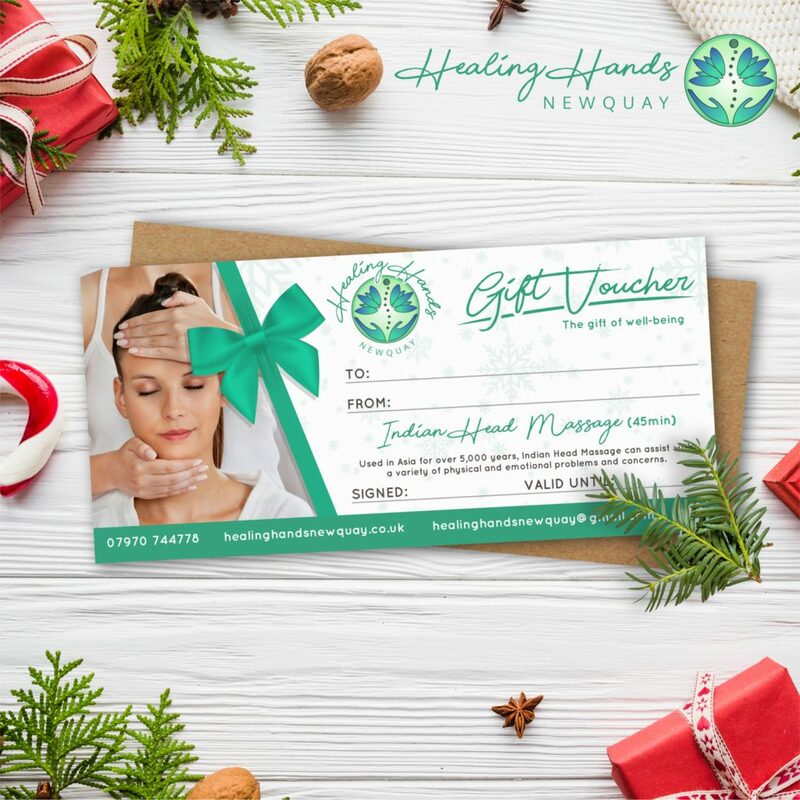 Encourage your customers to buy your products or services as a Christmas present for a loved one by designing festive gift certificates that make the ideal present. Gift vouchers are ideal for experiences (eg. a massage) or products. We can design gift vouchers for you and take care of the printing. Gain an edge over your competitors by offering discounted products/services for the festive period. You could also create competitions to raise awareness of your brand and give something back to your customers. Black Friday & Cyber Monday are great opportunities to launch your sale. Don’t forget the ‘Santa didn’t get me what I wanted’ post-Christmas sales too! 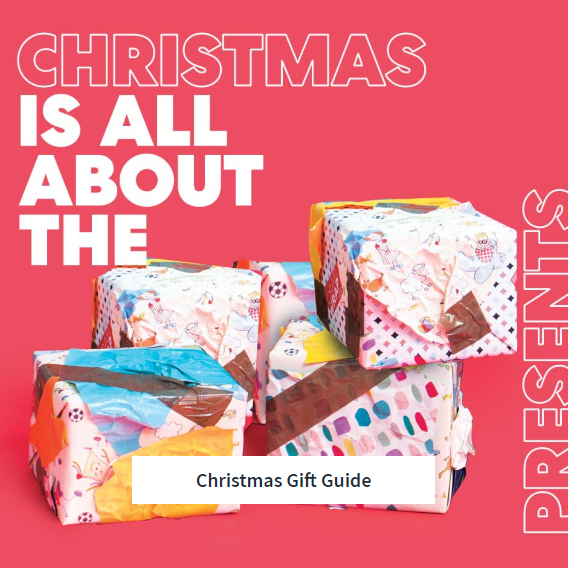 Deciding what to buy your loved ones at Christmas can be tricky – so make the process easier by creating a Christmas Gift Guide. Filter your products and services by gender, hobbies, age, price etc. so that your customers can find the ideal gift. Check out Firebox’s Gift Finder for ideas! Whether it’s a Christmas party, festive quiz, or santa’s grotto – festive events are a great way to draw in more customers and outshine the competition. Be creative and think outside the box; there’s ways to make any business festive, even if you’re only based online. Newquay’s Lighthouse Cinema is hosting a Christmas Craft Fair followed by a discounted Christmas movie as part of their festivities (pictured). Showing here on Saturday the 15th of December as part of our festive Christmas Craft Fair! Tickets just £2.50! #christmas #madelocal #thesantaclause #kernow #cornwall #buylocal @spellboundbythesea @fistralglass @thesecrethummingbird @dottywood @calloftheoceans @bella_oceana_ @ckisseddesigns @millsandloon @thecurioussea @scrubberjohnnies @cornwallwildlifetrust @coastal_flowers_and_gifts and lots more! Simple, but effective. 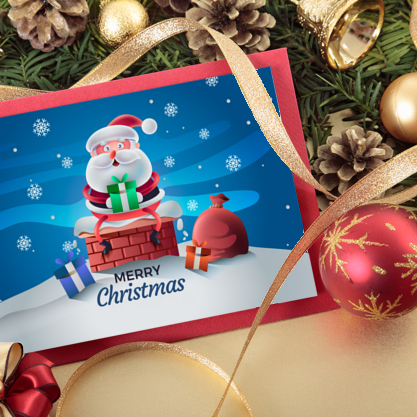 Send Christmas cards to your customers and suppliers to show gratitude for their support this past year, and to remind them of your services. Customers are more likely to remain loyal if they feel appreciated. Need a branded Christmas card or postcard designed? Check out our range of design & printing services. 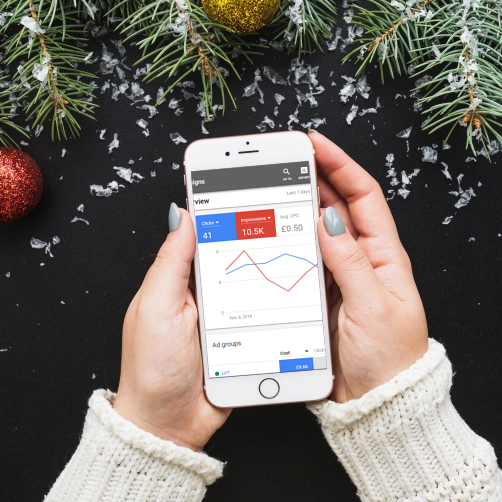 During the festive season, your business will get left behind if you don’t adjust your Google AdWords campaigns for seasonal keywords. As people search online for Christmas gifts and accessories, you need to research which words and phrases they’ll be using and adjust your campaigns accordingly. Need help with PPC? We can manage AdWords for you from as little as £15 per month. 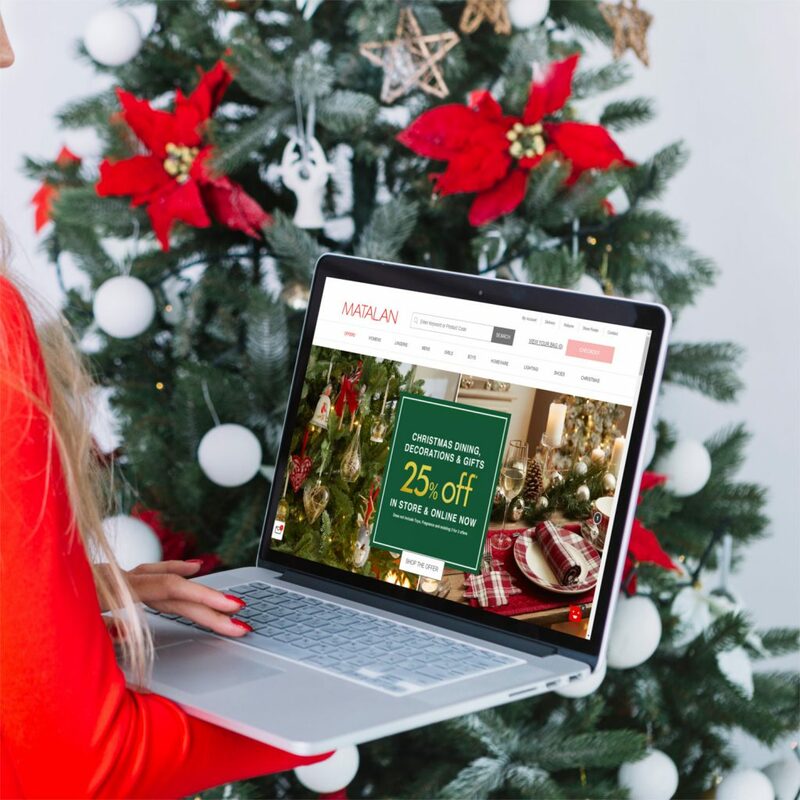 Adjust your blog, website and social media pages to give them a festive feel and to make it clear that you have a Christmas sale or promotion on. Be sure to highlight products or services which are popular or relevant this time of year. We can design social media or web graphics for your online profiles to help promote your business. Time is of the essence in the lead up to Christmas. 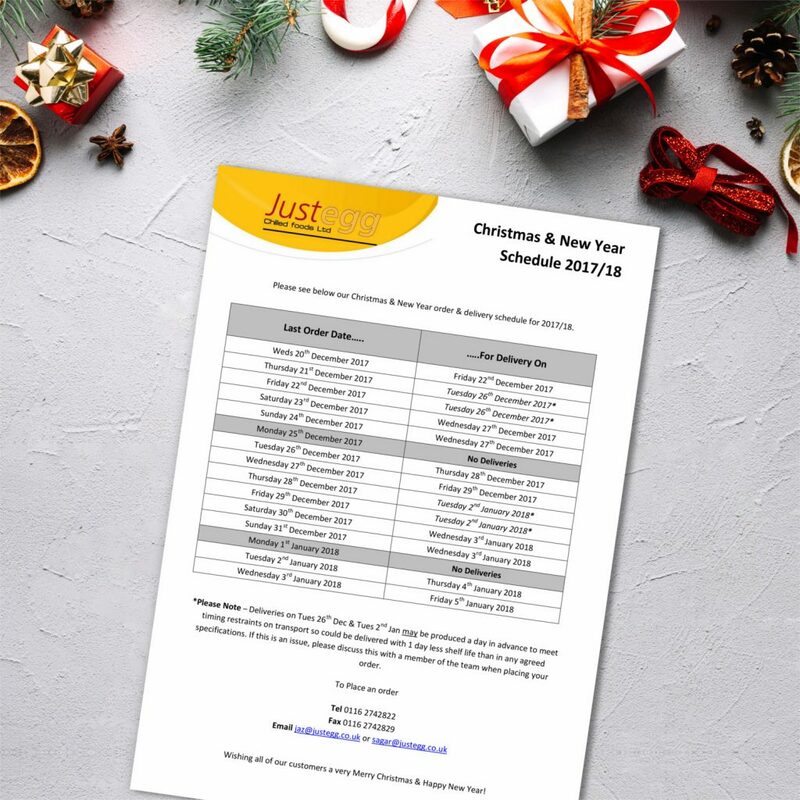 Make it clear when your last delivery deadlines are, or what your availability is over the festive period to avoid any disappointment. Give your customers plenty of notice so they don’t miss out! Christmas is the season of giving, and what better way to celebrate than by giving something back to those in need. You could donate a percentage of sales to charity or run a Christmas fundraiser. Regardless of what option you choose, partnering with a charity spreads brand awareness but, most importantly, does something good for the wider community. Felicity J. Lord wore Christmas jumpers and pyjamas to work one day last year to raise over £1,000 for Magic Moments charity (pictured). 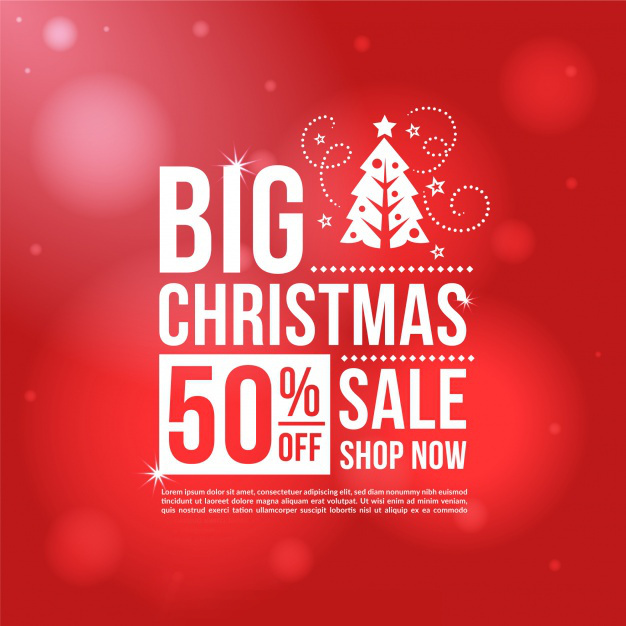 What will you be doing this year to boost your Christmas sales? Let us know in the comments!